New build replacement of a 250,000 ltr raw milk silo for Muller Milk and Ingredients in Droitwich. 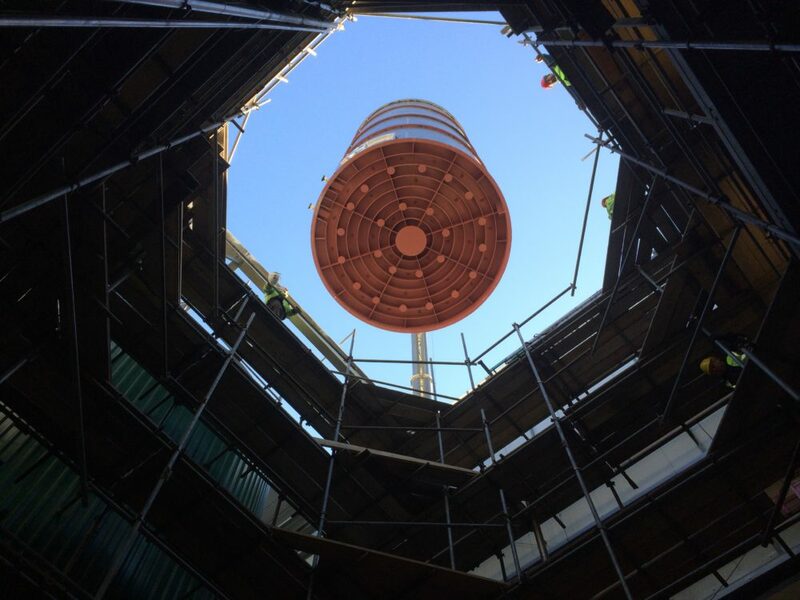 EPE had originally supplied the 10 off 250,000 ltr milk silos used on this site in 2000 and following such a successful project were awarded this replacement. The silo was manufactured at the EPE site and all transportation was arranged by EPE in association with Leicester Heavy Haulage, who liaised with local councils and the police force to assist with road closures for the transportation back to the clients’ site.